Looking for the perfect potluck recipe? This Chinese Coleslaw with ramen noodles is crunchy and sweet and irresistible. But, like a good potluck participant, I scooped a tiny spoonful onto my plate. One bite later, I was hooked. I also refilled my plate with a giant scoop, and begged for the recipe, so there’s that! 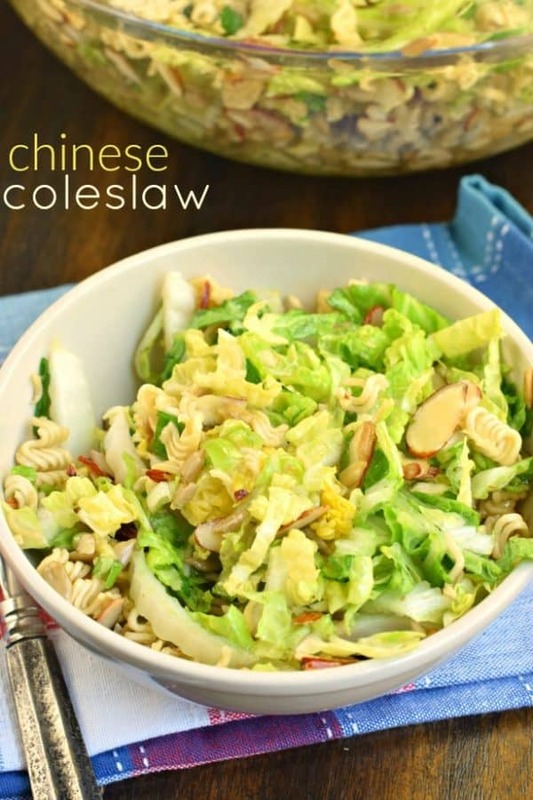 Today’s Chinese Coleslaw recipe comes from my sister-n-law (hi Mandy!!). 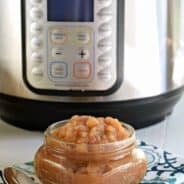 This is her mom’s recipe that she made at a bridal shower, and had me swooning ever since! Yes, I agree, it still seems odd to crunch up a pack of uncooked ramen into the salad…but you guys, trust me when I say it’s delicious. The crunchy ramen with the crisp cabbage and sweet dressing is the perfect pairing! Start by cooking your almonds in butter in a saute pan over medium high heat. Add in the crushed noodles and sunflower seeds (no shells please)! Let these cook several minutes, then remove and spread on a couple of paper towels. In a small mason jar, combine the dressing ingredients: vegetable (or canola) oil, vinegar, soy sauce, sugar, and salt. Shake it up and set it aside until ready to serve the salad. 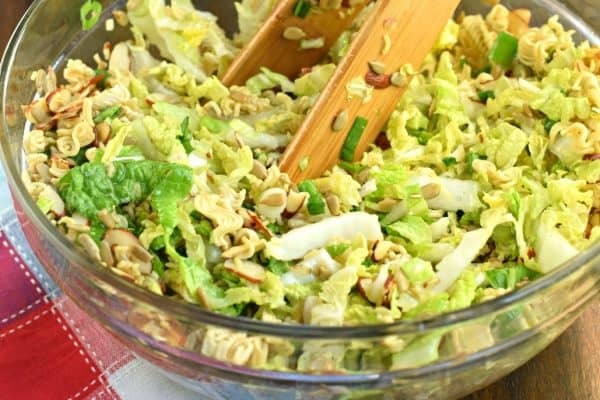 For the salad, in a big bowl, combine the Napa cabbage (sliced thin), green onions, and the cooled, sauteed mixture. 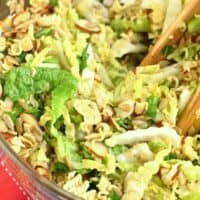 When ready to serve, pour dressing over salad and let sit 5 minutes. ENJOY! Every potluck needs a batch of this Broccoli Salad. 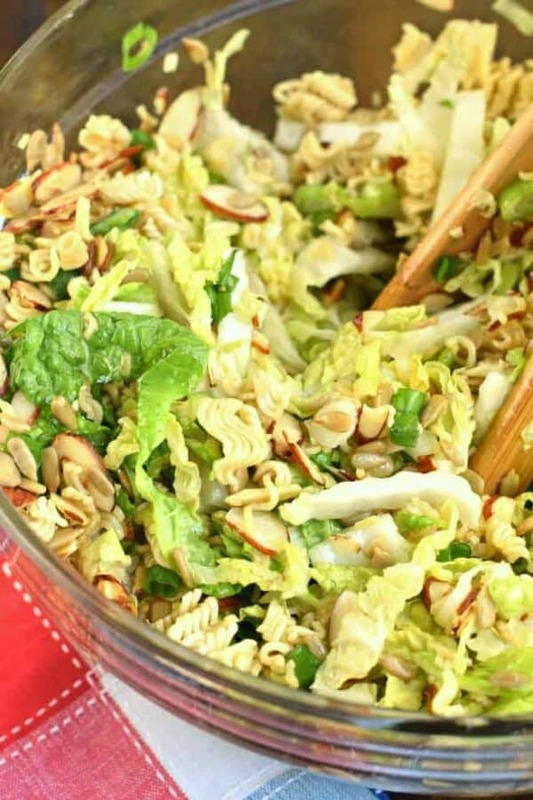 Packed with flavor and texture, this sweet crunchy salad is always a hit! Looking for the best classic coleslaw recipe? My Copycat Chick-fil-A coleslaw is perfect. Creamy and delicious! Need something a little heartier? We love this Shrimp Pasta Salad recipe. And you can use my homemade Italian dressing (or buy a bottle of your favorite)! This 30-minute no-brainer BLT Pasta Salad from The Food Charlatan is perfect to throw together right before the potluck! Bacon, lettuce, and tomato have never been so right together. Add some grilled or rotisserie chicken to make it a quick dinner. This cheesecake fruit salad from Oh Sweet Basil is awesome for a side at a potluck or BBQ or even as a dessert! Plus it’s so easy it’s foolproof! Pistachio Fluff Salad (or watergate salad) is our family’s favorite summer treat. Add it to your menu and watch it disappear! 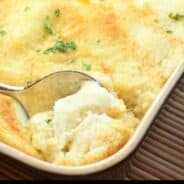 Still looking for more recipe ideas? Be sure to look at my Potluck recipe archives for lots of recipes for summer fun! In a skillet, heat butter over medium high heat. Add in the almonds and cook for one minute. Add in crushed ramen noodles and sunflower seeds. Saute for several minutes. Remove from heat and spread on a couple paper towels to cool. In a mason jar, combine the dressing ingredients. Shake until sugar is dissolved and refrigerate until ready to serve salad. 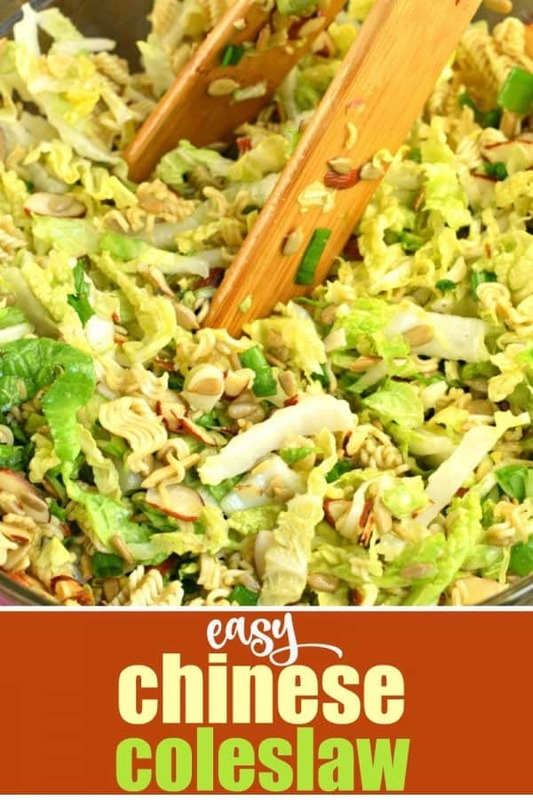 In a large serving bowl, combine cabbage, onions, and noodle mixture. Pour dressing over the salad and let sit 5 minutes. Serve immediately and enjoy! I’ve made th oh s for Its always a big hit. I am looking for a slaw that would be good with a peanut sauce dressing….think this would be good?